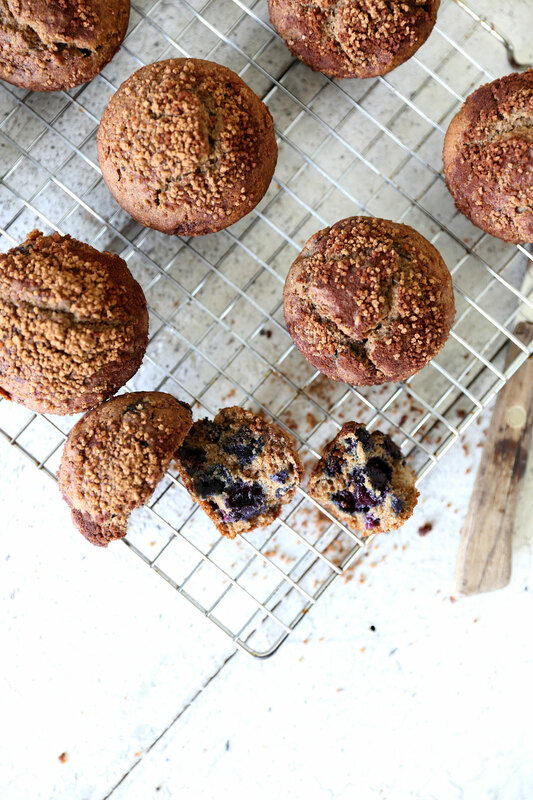 These blueberry, apple & buckwheat muffins have such a lovely light delicate crumb, you would never guess they don’t contain any butter, wheat flour or refined sugar! 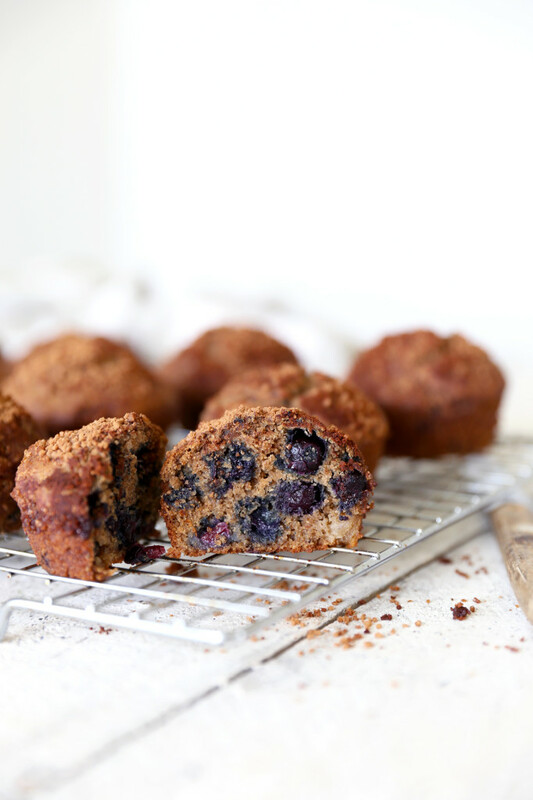 The idea for this healthy breakfast muffin occurred to me after I found a delicious looking recipe in a cook book, and tried out an adapted (dairy & gluten free) version while we were on a weekend away with family. Despite being located on Kawau island (which has no shops and is only accessible by boat) the pantry at the Bach (beach house) surprisingly had most of the required ingredients, although the only gluten free flour was coconut flour. Unfortunately the first batch of muffins was a crumbly disaster, but my 1 year old niece still thought they were pretty great. I concluded coconut flour on it’s own is not a great choice for a muffin recipe. I tried the recipe again when we got home with a gluten free flour blend but the recipe still wasn’t amazing when adapted in this way. Determined to conquer this muffin idea, I next tried adapting my faithful blueberry muffin recipe by replacing the dairy, gluten and refined sugar. To make them more breakfast-like I used buckwheat flour for a light crumb and added apple to keep them moist and to reduce the sugar content. The result was…. a winner! These muffins are best eaten fresh, although will keep for a couple of days in an airtight container. They are perfect for a weekend brunch, lunch or afternoon tea and any leftovers make a great weekday breakfast on the go. 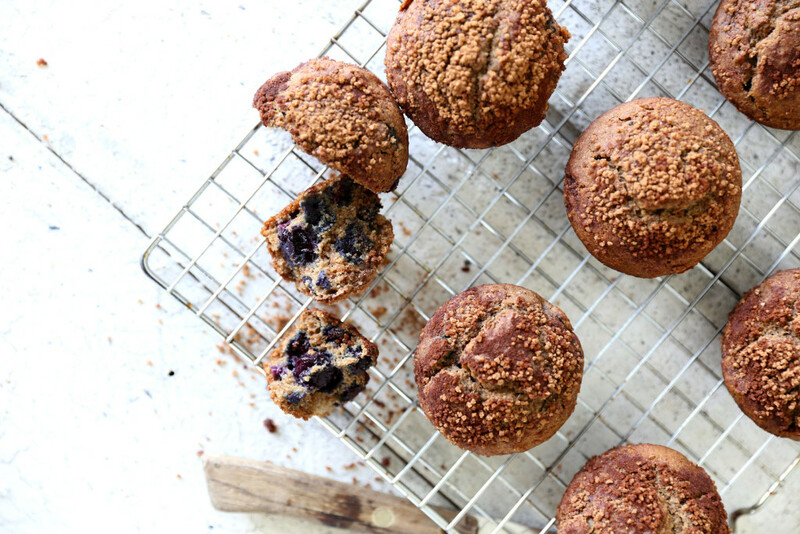 Hope you give these blueberry muffins a try and if you post any photos to social media be sure to tag @swoon.food #swoonfood so I can come and admire them! Enjoy. Any questions or comments about this blueberry, apple & buckwheat muffin recipe? Leave a comment in the section below, I love to hear from you! Preheat the oven to 180ºC and lightly grease a 12 hole non-stick muffin tray. Combine melted coconut oil, sugar, apple, egg, vanilla powder and cinnamon in a large mixing bowl and beat with a hand held beater until just combined. Sieve the buckwheat flour, brown rice flour and baking powder into the mixture and stir to combine. In a separate small bowl combine the baking soda, hot water and cider vinegar – it will fizz up, so stir it briefly before adding to the mixture and stir well to combine. 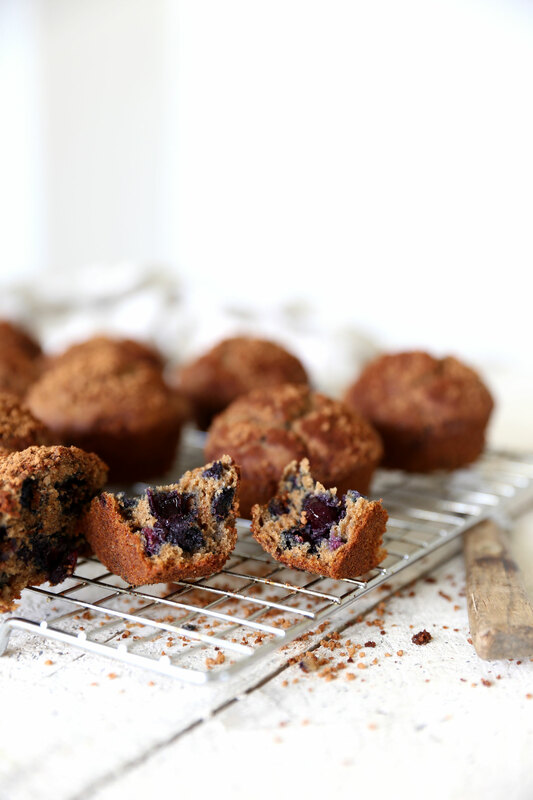 Lastly add the blueberries – if using frozen there is no need to defrost first. Drop spoonfuls of mixture into the muffin tray until all holes are filled evenly. 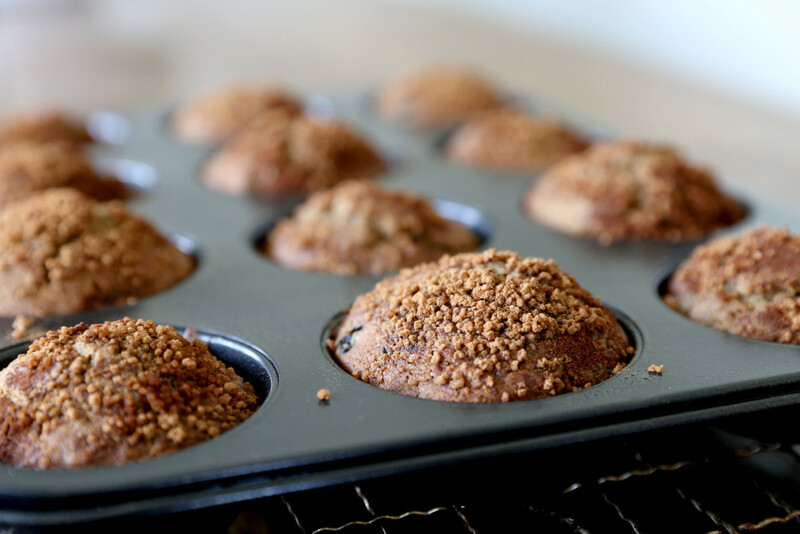 Place in the centre of the preheated oven and bake for approximately 20minutes, until muffins are nicely risen and a knife inserted into the centre of a muffin comes out clean. Leave the muffins to cool on a wire rack before carefully running a knife around the edges to release. Store in an air-tight container once cold. These will keep a couple of days, however they taste the best when eaten fresh on the day of baking. Note: To stew apples: peel, remove the core and cut into small pieces. Place in a saucepan with about 1cm of water and simmer until the apples have broken down and are easily crushed with a masher or fork. Alternatively you can buy stewed apple in a tin which is usually called “apple pie filling” or similar. Look for the kind that has no additives in the ingredients – just apples.